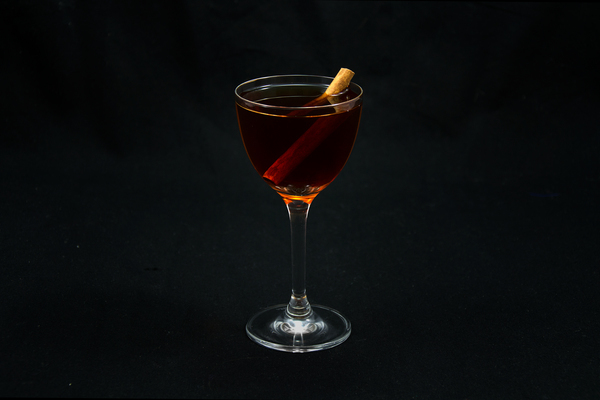 Holiday drinks tend to be creamy, sweet, and indulgent. The conifer is none of those things. 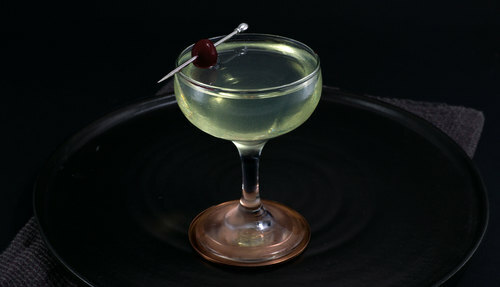 It is boozy, piney, and brazenly herbaceous, which makes it perfect for holiday guests who prefer their cocktails spirit forward. It might also be the perfect gift for yourself after making that seventh round of eggnog for the aunts and uncles. 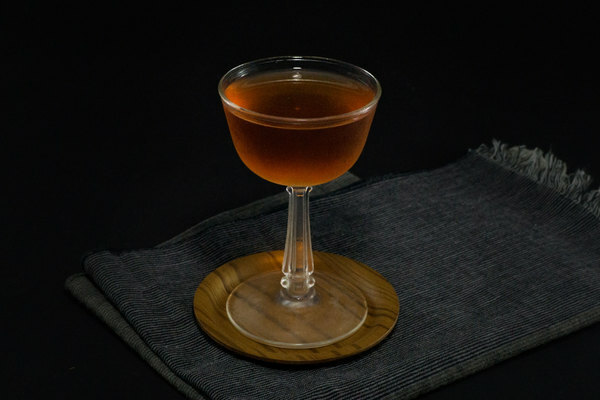 The recipe calls for a bit of an esoteric ingredient list, with both pear brandy and spruce essence in the mix, but we’ve outlined several good substitutes further down. The drink begins with a brisk whiff of spruce, pear, herbs, and cherry. 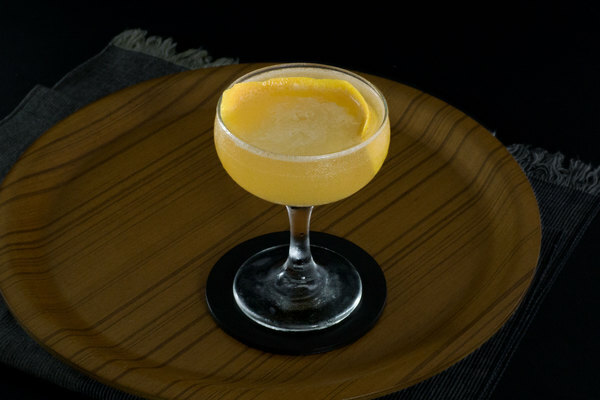 Sense-awakening hints of alcohol are there too, emanating from the formidable combo of clear spirits in this recipe. The sip is mellow at first, then hits the back of the tongue with a big splash of spruce and Chartreuse which lingers for a surprisingly long time. It has a bright, martini-like clarity with just a hint of green from the Chartreuse, which plays beautifully off the red from the cherry. Spruce essence is traditionally used to make spruce beer. It can be found at brewing shops, or ordered online. It is incredibly strong, and can easily turn a drink into pine-slop without care. We use an eyedropper to measure out six individual droplets. If you can’t track down spruce essence at all, or are making this in a pinch, don’t sweat it. It really only acts as a bitter, accessorizing a recipe that is already mostly there. We’ve had several great pear brandies: St. George and Clear Creek both make awesome American varieties, and we’ve recently been turned on to F. Meyer’s version as well. If you don’t have pear brandy, a dry apple brandy might work too.